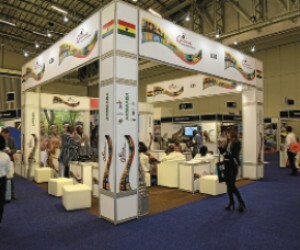 WTM Africa is one of the most prominent platforms for promoting tourism in Africa. WTM Africa’s general manager, Chardonnay Marchesi, shared insights with Explore. Looking back at 2016 so far, what are the milestones? I would say the resilience of the African travel market. Last year saw a number of challenges, mostly in North Africa that seemed to cast doubt on the value of the African market. The overcoming of these challenges and return to growth (for North Africa – Sub Saharan Africa posted modest gains of 1% in 2015) lends credence to the UNWTO forecast that Africa will grow its market share from 5% to 7.4% by 2030. The number of Africans that continue to travel within and beyond our continent’s borders continues to grow and is a place worthy of investment over the long term. Clearly what sets WTM Africa apart is the fact that it is the only travel trade show to offer inbound and outbound opportunities, and stands as a true and strong supporter of intra-African as well as international travel to Africa. Our aim is to provide a forum that will facilitate meaningful and gainful networking, giving those seeking opportunity a chance to meet with key, global decision makers, valuable contacts and potential buyers. What can the trade expect from the 2017 edition of WTM Africa? Our exhibitors can expect 80% new buyers at WTM Africa 2017 which is very exciting. A wealth of new experiences, one example being adventure tourism, is fast gaining momentum. It is opportunities and products like this which we feel will be a big and exciting draw-card at WTM Africa. Have platforms like Air BnB had a disruptive impact? The speed of adoption of these trends certainly took the industry by surprise. The attractive nature of these stories also helped propel the use of these services as they were a mainstay of travel and other media looking to write about innovation that touches us all. Overall, I think it’s too early to be pronouncing on whether these changes are for the better or worse. While the initial fear was that hosting sites like Air BnB would steal market share from more traditional providers of accommodation, the majority of their travellers might yet be people who are new travellers entirely and therefore increase the size of the category and not just take market share from existing accommodation providers. I think that happily for the travel industry the entry of hosting sites and online travel agents has happened in a climate of growth, so the new international trips allowed growth to the traditional and the new disruptive entrants. However you look at it, whether it is a hosting site or a new hotel group, more competition is always felt at the local level as the incumbents and new entrants compete for travelers. This is why we are proud to present a platform to the trade that enables the buyer and seller to connect through the five senses. Face-to-face discussions are conducive to the sharing of ideas, potential solutions and competitive strategies with the person on the spot, providing true value and a strong foundation for partnership. These partnerships allow them to compete effectively in what has always been a competitive industry and I believe our offering is more relevant than ever in this ever more competitive landscape. What other technologies have had a noticeable impact? There have been several that have had an impact. I think this is because travel remains a key driver of technological advancement. Social media is driven by a significant amount of travel related content. Most social media platforms have the incredible ability to bring to life both products and experiences, and as abilities in this regard improve, travelers are exposed to more inspirational content and easier ways to make travel happen. There are some technologies in their infancy but due to how new they are, their nascent development is to be expected. These technologies are things like Augmented Reality, and Virtual Reality and their full potential for tourism is still being explored. Technology is an ever-evolving element, so embracing it and staying at the forefront of information is essential to keeping a connection with buyers and consumers. All the participants to WTM Africa 2017 are invited to attend the WTM Africa Travel Tech Theatre for tourism technology content throughout the three days. World-class speakers will share the best insights about the opportunities at the intersection of technology and travel. Has South African tourism produced any technological innovations? WTM Africa, having a key interest in driving local business to talk more about their key, will be showcasing various technological innovations from all around the world. At this stage the South African industry is following in the footsteps of global players while simultaneously exploring original innovations. The innovations we see from South African tourism travel providers is the adaptation of technology to the African context, which is extremely important to success in African travel. WTM Africa has a key interest in driving these businesses to talk more about their key innovations and way forward. WTM Africa is the platform to do this. How does WTM itself leverage technology? Our goals are to have all the extraordinary travel professionals at WTM Africa 2017 obtain maximum value from the show. 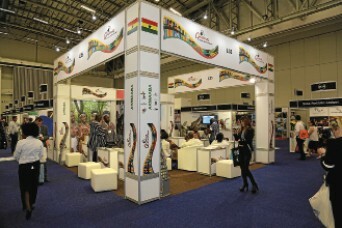 At the heart of enabling this goal is our online portal incorporating the diary allowing travel professionals to connect and create pre-scheduled appointments We also leverage traditional communication technologies like email, social media, online applications and the like to coordinate this truly global African show successfully. What is your take on responsible tourism? Responsible tourism is a key value for the WTM portfolio around the world but the events in Africa over the past couple of years have underscored just how important it is to preserve our natural heritage as a continent and to tread lightly on this beautiful continent so that it can be enjoyed by future generations.We continuously enhance the tools we give the industry to contribute in a meaningful way towards the responsible tourism movement, which is something we are proud and a key benefit of participating at WTM Africa 2017. What does growing this market segment entail? Our ambition is to encourage every single tourism role player to transform their operations to become a responsible tourism provider. We encourage this by addressing key initiatives at WTM Africa and educating the industry on various aspects of Responsible Tourism. We also give the industry the opportunity to get involved and network with key industry players in this space. Accordingly we recognize the role players that offer compelling experiences and services in a responsible manner through our World Responsible Tourism Awards. What highlights are there to look forward to at WTM 2017? From our location of Cape Town, which is without doubt the jewel of the African continent, we will cover content statistics and research on outbound travel, release a global trends report, have key industry representatives in attendance for networking and thought leadership and a host of extraordinary networking opportunities. WTM Africa 2017 will be the key platform for tourism players to do business. We feel that WTM Africa 2017 will provide the most extraordinary access to a continent with extraordinary opportunities.